9.28mm x 19.95mm / 0.365in. x 0.785in. 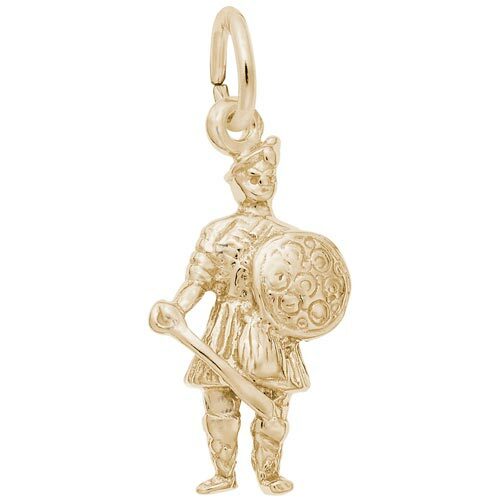 Scottish Warrior Charm by Rembrandt Charms. The height is 3/4 of an inch. Our Scottish Warrior Charm is ready to defend Scotland. Three dimensional, and dressed for battle in a kilt with shield and sword. The warrior jewelry piece can be placed on a necklace as a pendant or will be a wonderful addition as a charm for a Charm Bracelet. All Rembrandt Charms are available in either silver or gold.